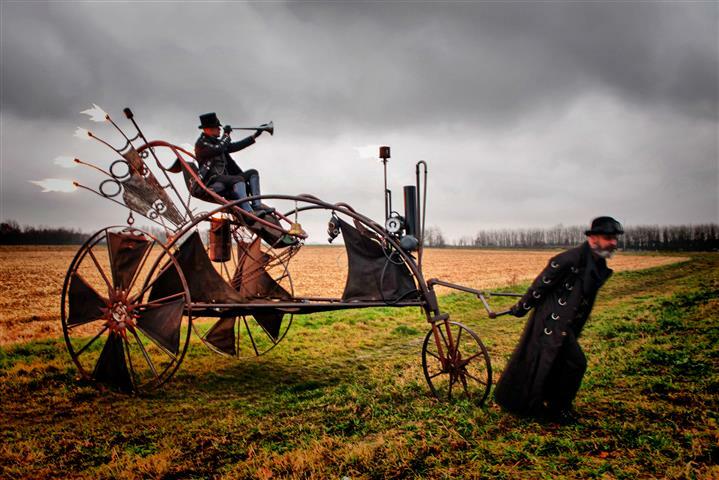 Two pioneers from the Victorian period ended up in the present with their anachronistic vehicle. They are on their way to the Burning Gates Of Anubis, a time machine that is hidden somewhere in the sky. This time machine can be found only when they use their primary energy source. 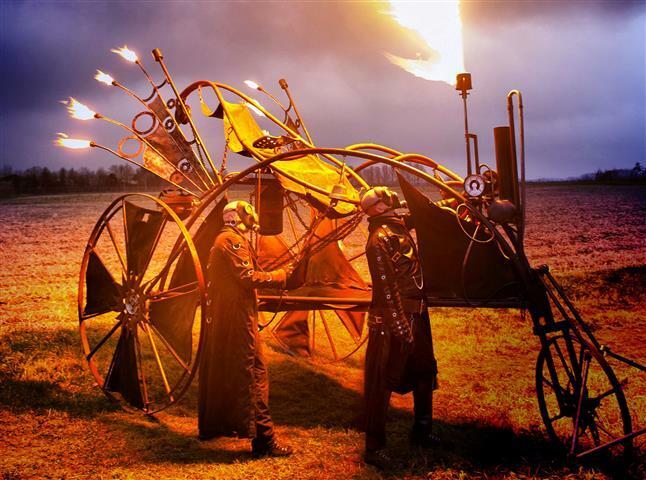 The fire will regularly reach the sky, hoping to make the Gates visible so they can finally continue their journey through time. 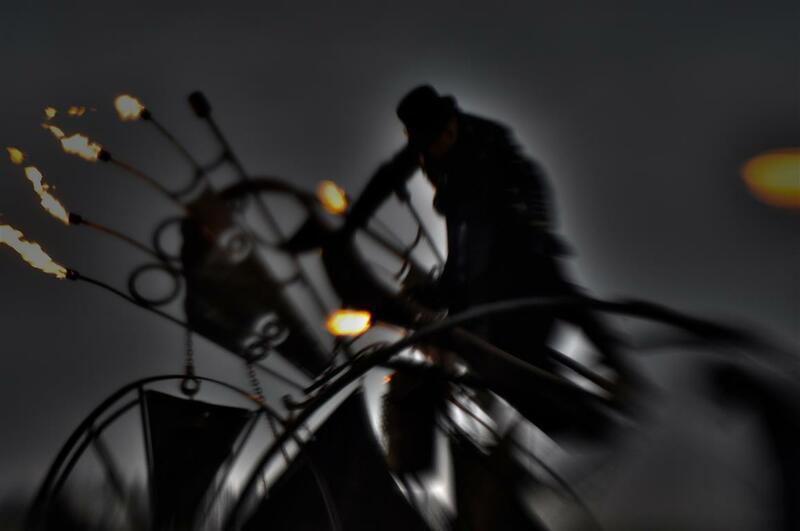 During the performance the two impressive characters will transport the Steampunk mobile to different locations. They will stop the vehicle frequently bringing the flamethrower to ignite. 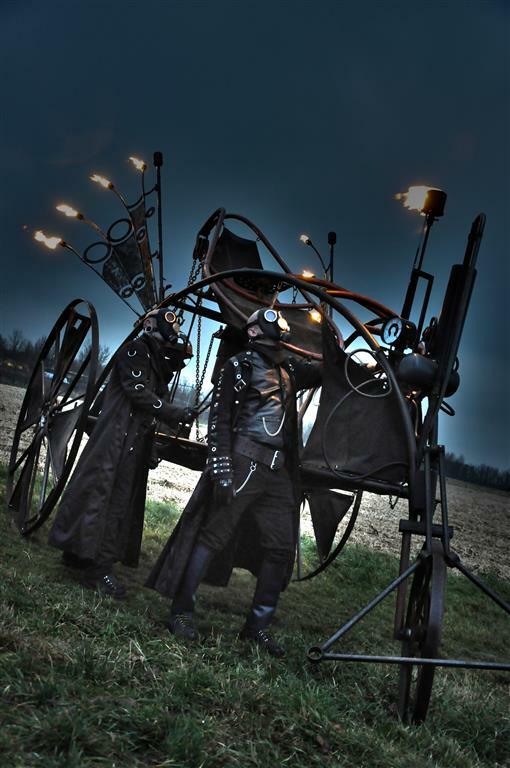 The mobile is built in 2006 by metal artist Marcel Boonen. 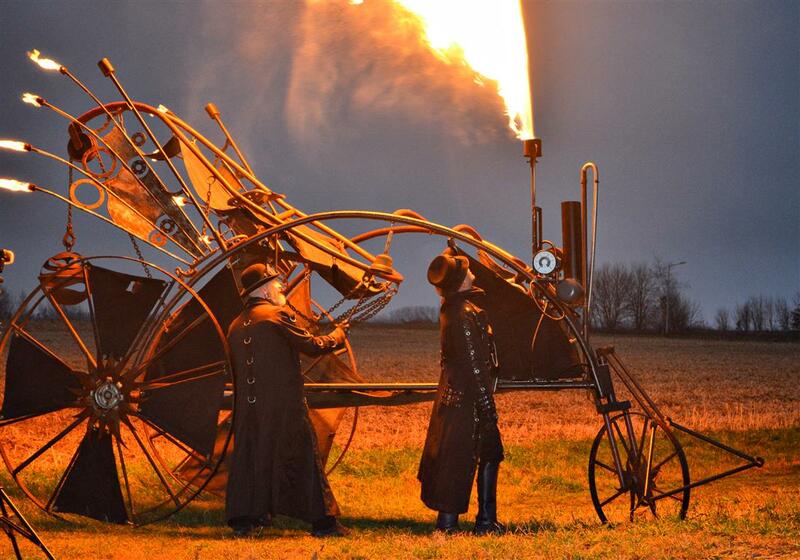 In 2014 he re-designed the mobile specially for this performance and transformed it into a Steampunk machine. 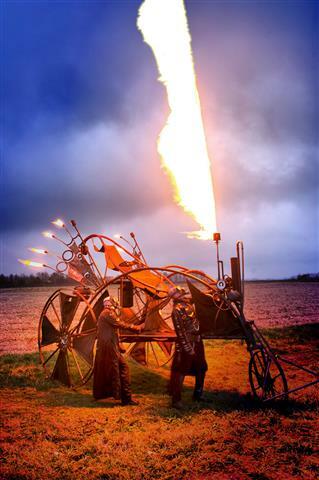 The mobile is equipped with two burning wings and a flamethrower that can reach a height up to 15 meter. 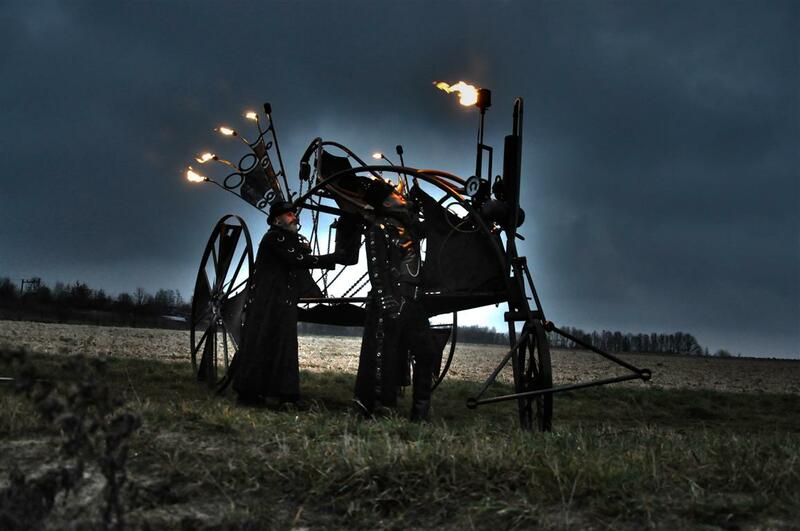 This spectacular walkact is produced for theater and organizer Total Theatre Netherlands. For technical information, you can contact both Theatre Vistazo as in Total Theatre. For prices and options, you you have to contact Total Theatre. Playing time: Number of walk acts in consultation. Number of performances: Number of walk acts in consultation. Required space: Width 4 meters / height 15 meters. Photography: Wil Eberson, Irena Buks, Bianca Verbeek.